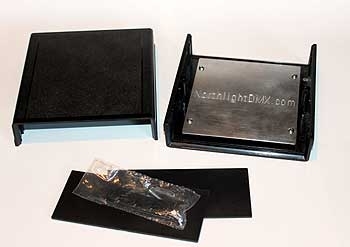 Plastic and Aluminum enclosures for Northlight circuit boards. Mean Well 15V switching power supplies work with all circuit boards. 5 volt switching power supply for RC servo motors. 15 volt power supply includes mounting plate and hard to find tiny screws. 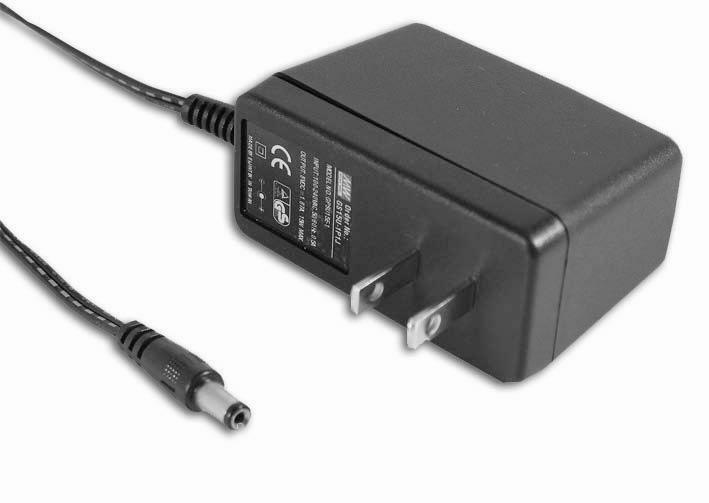 Slimline wall mount AC adapters come with matching panel mount barrel jack. CM5 plastic enclosure fits DEC24 decoder circuit without drilling. 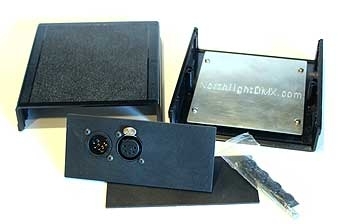 Enclosures with XLR's include Neutrik XLR's mounted on circuit board with screw terminals. Universal AC input 95 - 240 volt AC. Panel mount, requires drilling mounting holes. Includes mounting plate and screws, makes mounting much easier. 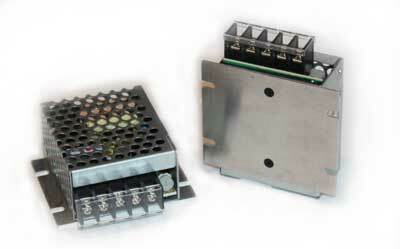 For most circuit boards, including Decoders and Relay boards. Switching power supply wall mount, with jack. Includes Switchcraft matching panel mount jack. Wall mount, North America and European version. For most circuit baords, including Decoders and Relay boards. 2"(50.8mm)High X 4.75"(120.65mm) Wide X 4.75"(120.65mm) Long. Includes aluminum mounting plate for PCB,with screws and pre-drilled holes to match enclosure. requires drilling mounting holes to match PCB being used. 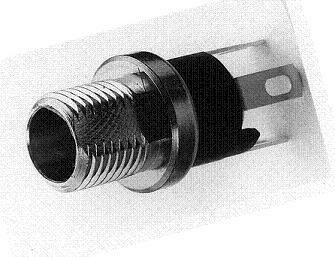 CM5XLR includes 2 Neutrik 5 pin XLR's with PCB and screw terminals in punched plastic panel. Does NOT fit RLY08 circuit boards.